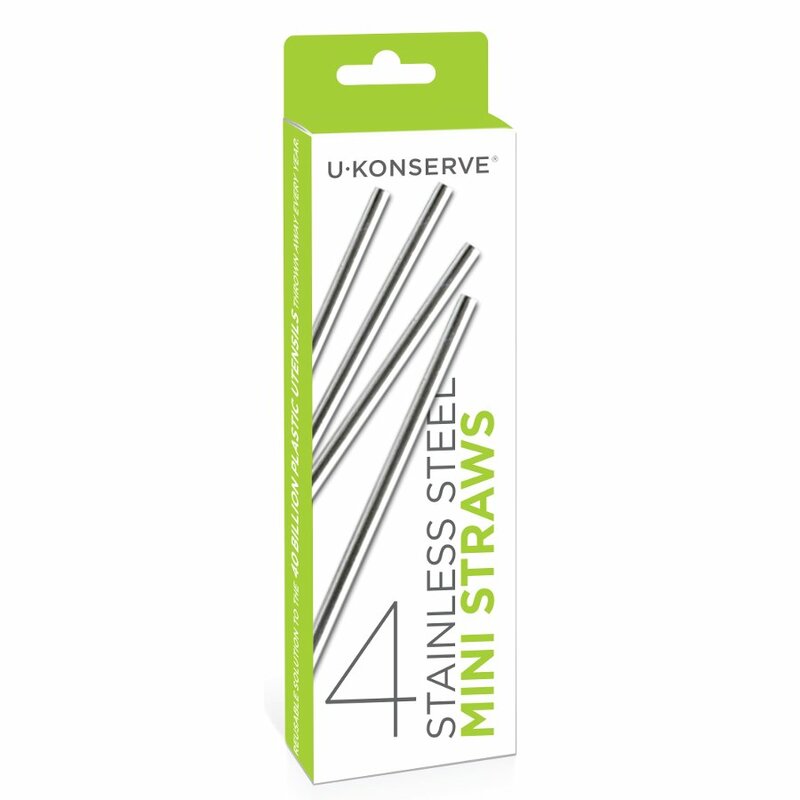 Go green with these completely plastic-free straws from U-Konserve; designed to work as a long-term, eco-friendly alternative to single-use plastic straws. 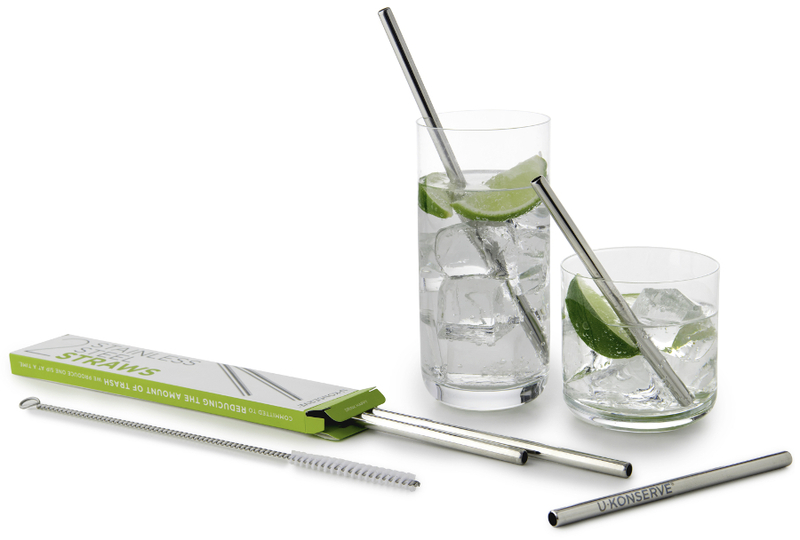 Stainless steel is incredibly easy to clean and highly durable; helping these straws last you a lifetime. This set of 4 straws helps you cater to guests without breaking out the single-use plastics. Every year billions of plastic straws end up in our oceans causing harm to seabirds and fish. With U-Konserve stainless steel straws, you can completely strike single-use plastic straws off of your shopping list for good. 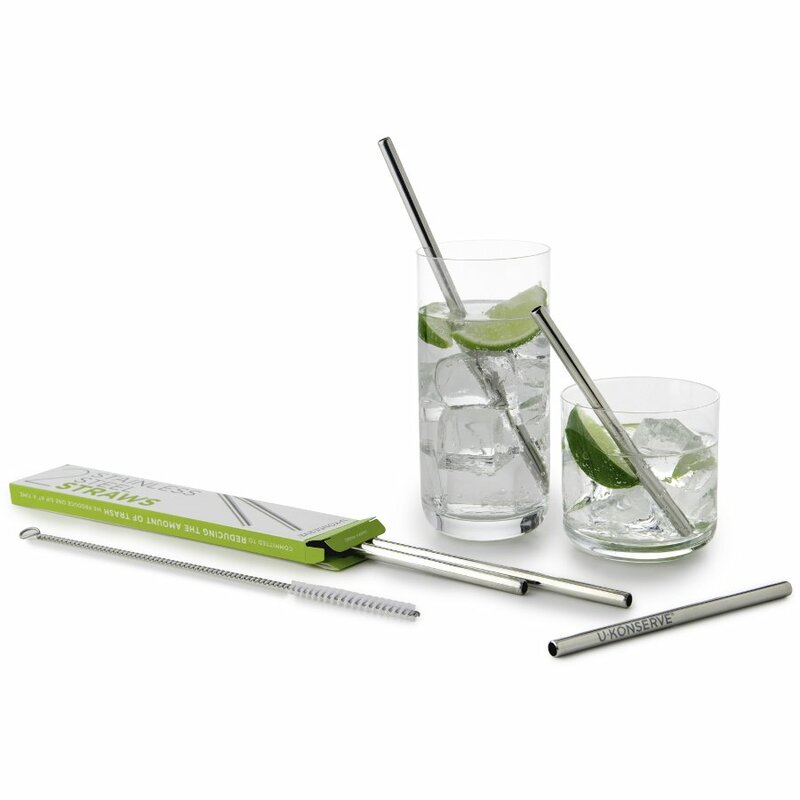 The U-Konserve Stainless Steel Mini Straws - Set of 4 product ethics are indicated below. To learn more about these product ethics and to see related products, follow the links below. I was very happy to find some short straws for my cocktails. Most steel straws are very long but this set of four is perfect. Excellent quality. We use these most days! Makes all children question things when we show them these! There are currently no questions to display about U-Konserve Stainless Steel Mini Straws - Set of 4. U- Konserve is a company created by two mothers who saw the need for waste free packing for children’s lunch, and grew to include a range of waste free lunch packing products. What began as an endeavour to reduce the waste of children’s lunches in California, U-Konserve is now a fully formed business committed to reducing the waste taken to landfill sites around the world. The company uses non-toxic recycled materials in its products, which are still manufactured at a high quality while making sure there is nothing harmful to your health in the product and in keeping with being kind to the environment.